“As the poet said, ‘Only God can make a tree’ – probably because it’s so hard to figure out how to get the bark on.” – Woody Allen. 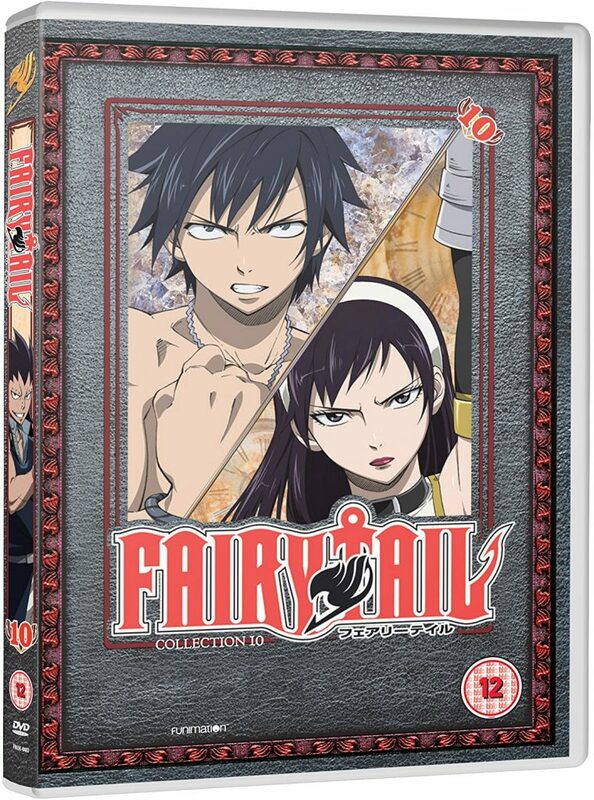 It has been nearly two years since the last Fairy Tail collection was released on DVD in the UK, previously brought out by Manga Entertainment. Now All The Anime (Anime Limited) has brought the series back, which is a relief – particularly as we were partway through a storyline, so either people have been waiting over 18 months to see the end of it, or have had to import the US release and are thus perhaps not tempted to get this. Thus, not only is it a brave move for All The Anime to bring it back, but there is a need to recap where we have left off. At the Fairy Tail guild, eight of the wizards are taking on the “S-Class Wizard Promotion Trail”, each assisted by another wizard in the guild. This is on Tenrou Island, an island with a gigantic tree with another island on top of it. The island is home to the grave of Mavis Vermillion, the founder of the guild, and the current task is to be the first to reach the grave. However, as the task has unfolded a dark guild named Grimoire Heart has attacked the island, using a group of seven powerful wizards including Zeref, the wizard who caused massive destruction around the world 400 years ago. The last collection ended with various wizards fighting their own battles, the current head of Fairy Tail Makarov being knocked out, and Celestial wizard Lucy being put to sleep by the wizard she is meant to be helping, the chronic alcoholic tarot user Cana. 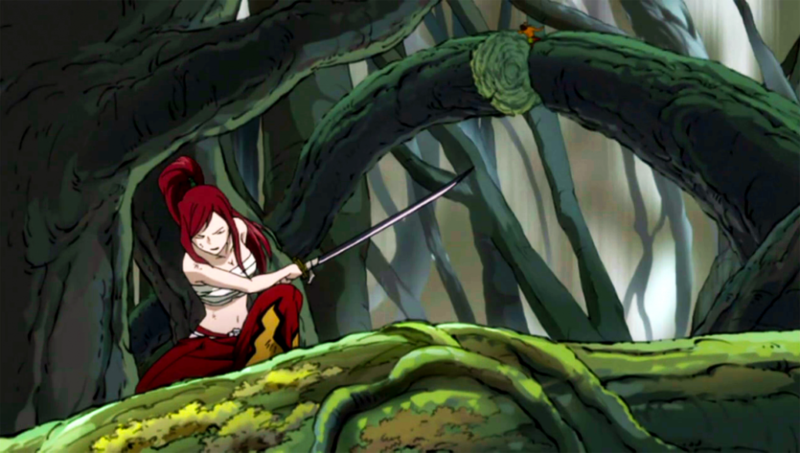 Moving on to the actual episodes in this collection, Lucy awakens from her sleep only to be attacked by a dark wizard who controls people using a voodoo doll, while fiery Natsu and his feline friend Happy are in the battle with another wizard who can manipulate time, and sword-and-armour-changing Erza and water manipulator Juvia deal with someone who makes blades seemingly out of light. 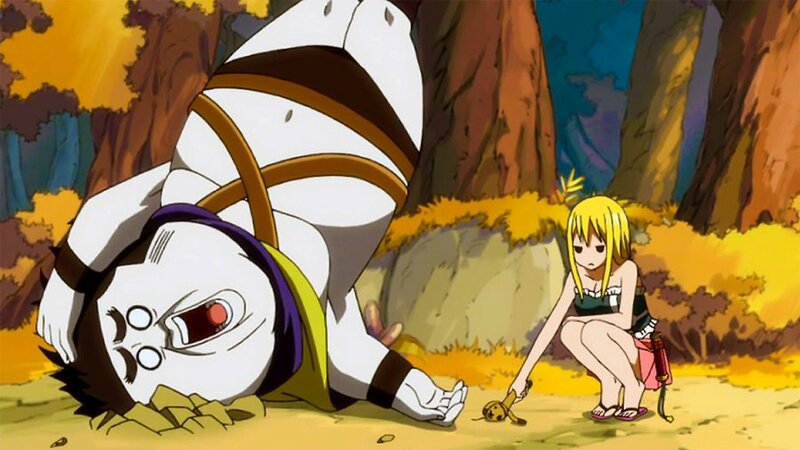 Meanwhile, Cana attempts to find Mavis’s grave, where in the flashback we learn that one of the reasons she is so keen on obtaining an S-Class rank is because when she does she will reveal her identity to her father, who happens to be another one of Fairy Tail’s wizards. 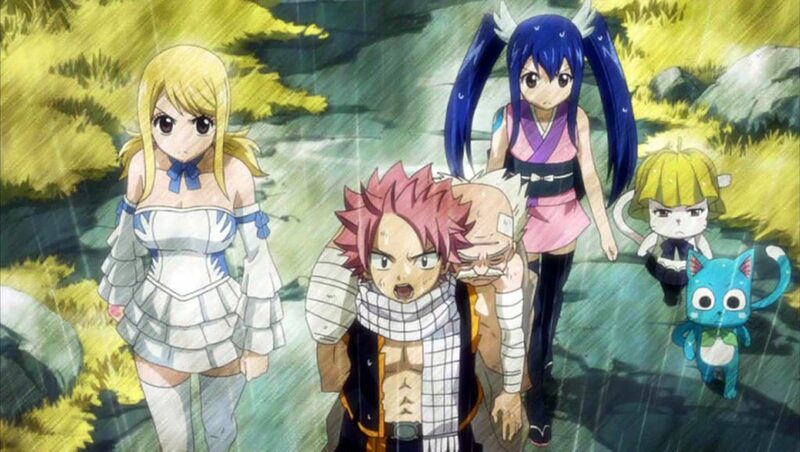 As the episodes roll on, Lucy, Natsu, Erza, ice-maker Gray, young Wendy and others attempt to battle against the Grimoire Heart wizards, and upon meeting the head of the guild discover that he happens to have a connection to Fairy Tail as well. The first thought concerning this collection is simply the fact that it is good to see it released in the UK again. Being away for so long you’d suspect that no-one would touch it, as British distributors would assume that most British anime fans would just go for the American release. However, we should praise All the Anime for at least giving it a go. It is also good just to see the episodes again. If you haven’t watched it since the last British release it is probably worth dipping into at least the last collection again, but it is worth it as the things that make Fairy Tail good are still there, such as the great action sequences and the fun characters. The last collection was notable for having a few errors. This time around there are fewer things to complain about. Scene selection doesn’t seem to be a problem anymore and the subtitles appear to be fine. You still have some annoying things, like the ads that pop up when you load the DVD that you cannot skip through, promoting Funimation’s shows that are released by other companies in the UK (namely Karneval and Dragon Ball Z, both of which are Manga Entertainment releases). Funimation do, however, provide a nice selection of bonus features in this collection. There is the textless opening and closing, including the new themes: “Hajimari no Sora” by +Plus, and “Glitter (Starving Trancer Remix)” by Another Infinity (both of which are good). There are also two episode commentaries, a selection of trailers, and documentary “Marketing a Fairy Tail”. This collection of Fairy Tail has been fun, thrilling and exciting. It’s good to see it back. It’s the beginning of the end as we enter Fairy Tail’s final arc. This penultimate Fairy Tail collection is at times both overdramatic and anticlimactic.